Active Directory networks typically have tons of data, and tons of Access Control Lists (ACLs) to secure that data. The sad truth is that no matter how hard we try, our best efforts with security are bound to fail eventually. Unless your network was set up by some omniscient being with impeccable foresight and even better communication, your ACLs will inevitably fall prey to the same kind of disorganization that infects the rest of your initially pristine domain configuration. Fortunately, there's a fix for these issues. Whether you're trying to meet the standards of an official Sarbanes-Oxley (SOX) compliance audit, or just looking to tidy up some rogue ACLs you happened across, ADHQ has the tools you need to locate and repair security flaws, quick. Run any of our security reports to harvest information from Active Directory and file ACLs, enabling you to identify exactly who has access to all of your critical business data. 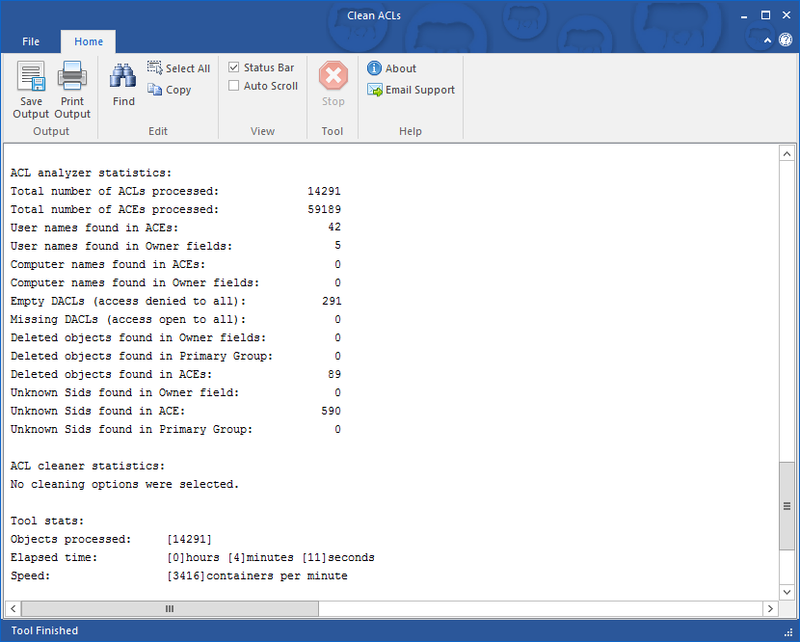 Scan your network for common security issues, like ACLs with users explicitly listed, and take immediate action with our Analyse and Clean tools. Then, run the same reports again and marvel at the difference.